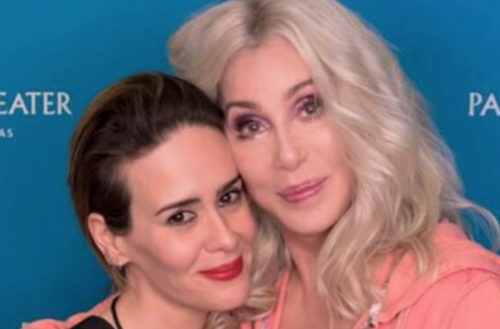 Before we repeat the rumor that gay pop icon Cher might appear in the upcoming season of American Horror Story (AHS), we should preface that this rumor is based entirely on two of Cher’s cryptic tweets and a few Instagram snaps of Cher with the AHS crew at her Vegas show. The rumor began at the beginning of August 2017 when Cher tweeted a hastily composed message that read: “My ‘For Fun’ Surprise Project, First wk Sept.” That could refer to AHS Season 7 which premiers the first week of September. “Gorge man” presumably means a gorgeous man rather than a man from a mountain valley. (Maybe it means both?) One site assumed that “gorge man” could refer to openly gay actors Colton Haynes, Cheyenne Jackson or Billy Eichner, all of whom will appear on the upcoming season of AHS. 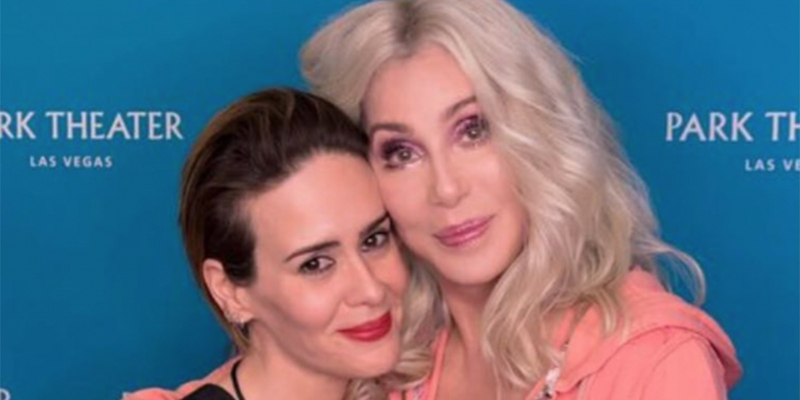 Considering that Stevie Nicks and Lady Gaga have both appeared in previous seasons of AHS, it’s entirely possible that Cher could too. The upcoming season is about the election, and Cher was a vocal critic of Donald Trump during the campaign season — she even threatened to move to Jupiter if he got elected, but we guess she had trouble booking travel. The final hints to her possible appearance came through some shots she took with AHS cast members at her Vegas show. It would make sense that Cher pose with the cast if she’d previously worked with them. 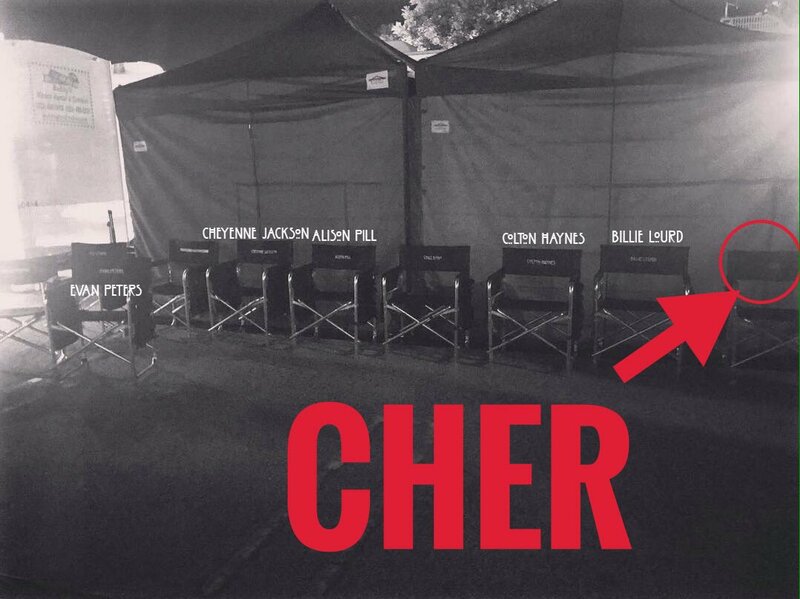 An internet sleuth also pointed out that in addition to Cher’s son Chaz Bono being slated to appear in the upcoming season, a cast chair with Cher’s name on it might have also appeared alongside the chairs belonging to the other AHS cast members. We say might have because we can’t read that tiny writing. But who knows? Oh, if only we all could, Dark Lady.